Canadian performance enthusiasts must be drooling at the news released from Volkswagen Canada’s offices. 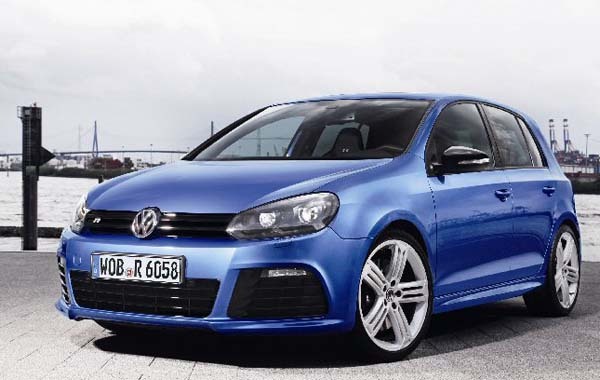 The top of the line Golf R will be coming to Canadian showrooms in early 2012. Based on the popular 5 door GTI model, the Golf “R” will feature many unique enhancements, making it the best performing Golf ever available in Canada. The high-output 4 cylinder turbo engine will be tuned to produce an estimated 256 horsepower. Coupled with the six speed manual transmission and 4Motion all-wheel-drive system, the power train promises a substantial performance upgrade over current models. Golf “R” specific wheels, brakes and suspension will ensure that the all that extra punch will be well controlled. The Golf “R” will feature a host of interior and exterior enhancements, which will make it the most distinctive member of the award-winning Golf family. More details will be made available as the launch date approaches.